Training is delivered by John H.Mosely, an experienced instructor and eBay PowerSeller. 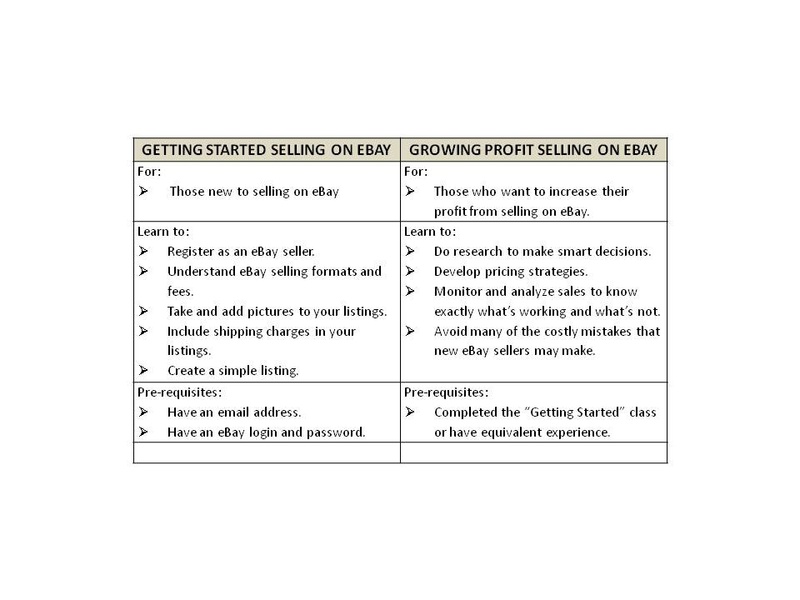 Based on our experience teaching and selling on eBay, we have designed two different classes to fit your level and your interest. Classes are conducted here at Ship Shop, and are intentionally kept small to provide personal attention. Each class is 1 ½ hours and $25 per person. Interested? Registration is no cost, but your spot is not guaranteed until at least a $10 nonrefundable deposit is made. To register call us or email us with the information below, or complete it and turn it in at the counter in Ship Shop.